(Family Features)--While spring cleaning can be crucial for keeping your home in tip-top shape, especially for DIYers who find inspiration in the bright season for new home decor projects, the annual ritual can also feel overwhelming. To add color and whimsy, and make spring cleaning a more joyous event, consider these ideas from mom and designer Joy Cho, the founder and creative director of Oh Joy! - a lifestyle site focused on design, fashion, food and life's joyful moments. Frame homemade artwork. Once spring has arrived, you may have compiled lots of children's artwork from time spent indoors. To keep it all organized, sift through it in the spring and frame some of your children's hard work to put on the walls as colorful pieces of homemade decor. Start with a fresh clean. Routinely cleaning your high-touch surfaces with disinfecting wipes and picking up common areas is a good habit to get into and should be a starting point for any spring project. When you start with a clean space, you know you won't have to deal with dust bunnies and clutter along the way. 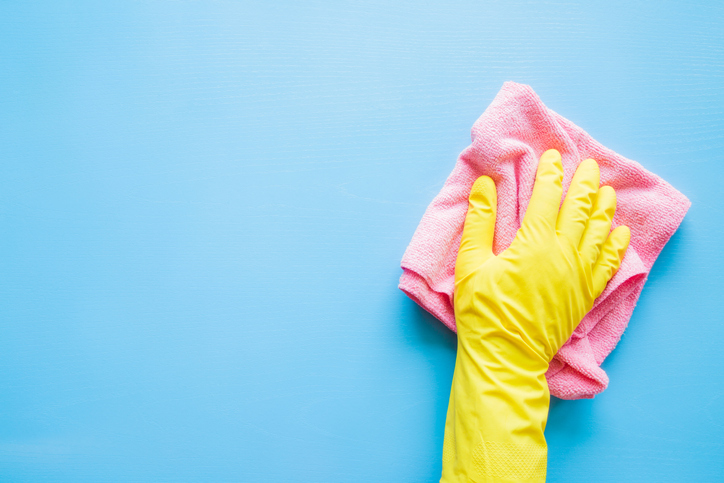 Plus, with nearly 1 in 3 Americans (31 percent) admitting to rarely or never deep cleaning their households, according to an online Clorox survey in February 2019, regularly freshening up can help you maintain a clean space and cut down on time spent tackling big messes. Decorate with color. Make your shared spaces as fun and unique as possible by adding pops of color. After cleaning accumulated dirt and dust off your bookshelves, add contact paper to the inside back section of the shelves and flower vases or decorative jars for temporary color and character. You can also add an unexpected springtime pop to floral bouquets by incorporating fragrant mint sprigs or colorful stems. Picking out an attractive spring print that brings you joy and updating your throw pillow shams can also provide little bursts of color. Maintain your spaces. Spending a little time each day cleaning high-traffic spaces can be easier than devoting an entire day each week to getting your home back in order. Disinfecting wipes make it easy to clean up messes, wipe down surfaces and stay on top of spot cleaning, allowing you to spend less time worrying about dirt and germs and more time with your family. Published with permission from RISMedia. Embarking on a home improvement project is exciting and nerve-wracking at the same time. You can’t wait to take the next step in turning your house into the home you’ve always wanted, but you’re also probably making a major investment to do so. Rushing the job. Unfortunately, one too many home improvement shows have led us to believe that home renovations magically happen in no time at all. In reality, large-scale projects take months, so take the proper time to accurately plan for each step of your project, then tack on several additional weeks to allow for the inevitable curve balls that will arise. Rushing will only cost you—emotionally and financially. Ignoring the need for a team. According to DiClerico, your project most likely requires a variety of professionals, such as an architect, a kitchen or bath designer, a contractor, etc. But many homeowners make the mistake of working with just one of these individuals before bringing in the others. Get the team together as early as possible to ensure a smooth flow and optimal outcome. Miscommunication. 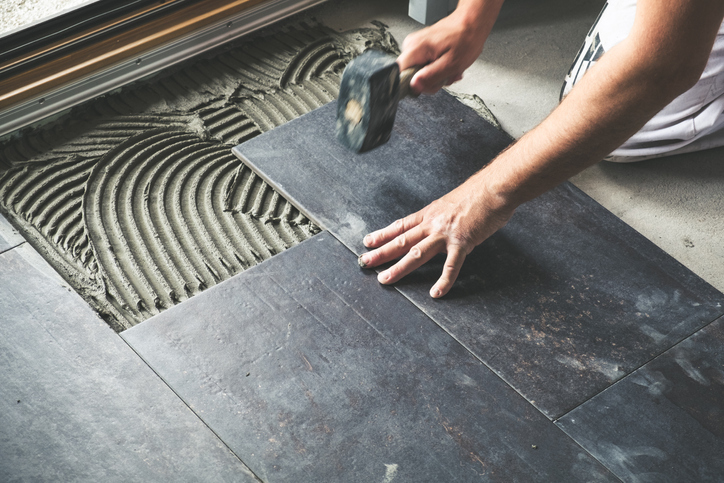 Tensions can run high during a home renovation—between you and the professionals you’re working with, as well as between you and your loved ones. Find out the best way to stay in ongoing touch with your contractor, i.e., email, text, weekly meetings, and let your contractor’s professional guidance help mitigate issues between you and your partner. Making your own design choices. While you may have diligently combed Pinterest and home-improvement magazines for months, there’s a big difference between what you like and what makes the best sense for your home. DiClerico advises working with a designer who can help ensure good quality design and functionality. Forgetting to budget. You must go into your renovation project with a number, allowing for the fact that it will cost more than what you originally planned—so adding in another 10 - 20 percent is prudent. DiClerico suggests spending more on the things you’ll interact with—i.e., cabinet doors—versus items that are purely decorative. Homeownership comes with many joys, as well as headaches, especially when it comes to unforeseen maintenance, like plumbing. Mr. Rooter Plumbing recently commissioned a national survey asking homeowners about the most common plumbing issues they face. "Being a homeowner is a fulfilling and rewarding accomplishment, but it can also bring new responsibilities and tasks that many aren't prepared for," says Doyle James, president of Mr. Rooter Plumbing. "This survey gave us tremendous insight as to the most common plumbing problems that homeowners deal with, along with their go-to methods for fixes. We learned that when faced with a plumbing issue, nearly 4 6percent of homeowners research DIY tips and attempt to fix the problem themselves. That's why it's vital to educate consumers about the do's and don'ts of plumbing, so they can hopefully avoid back-ups, bursts or other potential catastrophes down the line." To help prep homeowners for any unforeseen plumbing disasters, Mr. Rooter offers the following tips on how to handle some of the most common plumbing issues. Clogged toilet. Do not try to flush the toilet, as this will only lead to an overflow. Find a plunger and make sure to have a good and consistent connection with the plunger and the toilet. Being quick and repetitive with the plunging motion and keeping an eye out for movement in the toilet is key to unclogging it. Backed-up drain. Use a regular wire coat hanger and straighten it out as much as possible. Bend one end to create a hook, push it through the drain and start fishing. Hair and all the buildup, aka gunk, should pull out. Once it's all pulled out, run the hot water and it should clear up. Clogged sink. Mix 1/3 of a cup of baking soda and 1/3 of a cup of vinegar until it starts to fizz. Pour it immediately down the drain to help break down the gunk, hair and grime. Let it sit for about an hour (overnight is even better) and then flush it with hot water. Low water pressure. Screw off the aerator, clean off the gunky residue and screw it back onto the faucet. This should help the water pressure get back to normal. Garbage disposal. Never use chemical cleaners to clear a backed-up garbage disposal. To check for clogs, remove the unit and visually inspect the pipe for obstructions. Every parent wants to raise responsible, caring children, but if we are to succeed, we need to nurture the seeds of ethical behavior at the earliest stages of childhood. Develop a caring relationship - Children learn respect when they are treated that way. We develop loving, caring relationships with our kids by showing affection, providing a stable environment, applauding their efforts and achievements, and talking about things that matter. Be a role model - Children learn by watching our actions. They will mirror our efforts to engage in community service, treat others with honesty and respect, and apologize when we’ve hurt someone’s feelings. Make caring a priority - Sending a clear message that we should listen carefully, honor our commitments, and work to overcome problems helps to demonstrate caring and fairness. Provide sharing opportunities - Children need to practice caring - and being grateful. Having routine chores at home to help the family, talking about injustices they see or hear about, and expressing thanks at bedtime are good practices to follow. 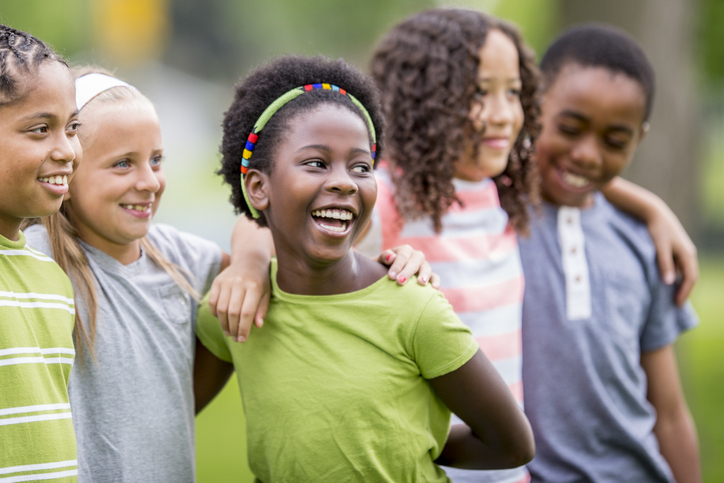 Expand the circle of concern - Children typically care about a small circle of friends and family. Encourage them to look at the larger world, to reach out to a nervous new student or to others who are facing challenges, and to look at ways they can help those who need help. Promote the ability to be a change-maker - Listen to their ethical dilemmas, like whether to invite someone to a party who is not liked by another friend. Encourage them to join causes, to engage in charity and help out in the community. Help them to manage feelings - Children need help learning to cope with feelings in productive ways. We can teach them that all feelings are okay, but some ways of dealing with them are not useful. Practice setting limits, resolving conflict, and getting a handle on self-control. (Family Features)--The arrival of vacation season means it's time to stop daydreaming about that getaway and start making some travel plans. Narrow down the location. Vacation planning often begins with an idea more than a specific destination. For example, you may want to lay on the beach or visit the mountains. The first step should be figuring out exactly which beach or which mountain range captures your attention. Research your options online and look for information such as lodging, food and activities you may want to explore. Set a budget. Daydreaming about a luxury excursion may be appealing when it's all in theory, but your bank account may have a different opinion. Also remember that if you're traveling with a group, you're likely to encounter household finances different from your own, so you'll need to set a budget that works for everyone. Determine how you'll get there. The smaller your group, the more options you have for reaching your destination. As the group grows, you may have fewer alternatives, particularly if you want to travel together. For example, it can be difficult to get a large block of seats together on a commercial flight. Think about where you'll stay. Vacation rentals typically offer more space and privacy than hotel rooms and allow everyone to stay together. Many offer amenities like a backyard or pool, and guests can split the cost several ways. 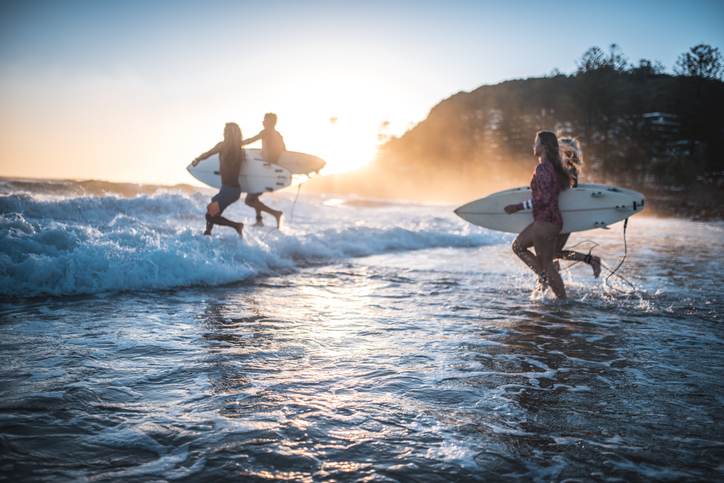 You can give others a chance to weigh in with a tool like Trip Boards, a feature on the Vrbo website and mobile app that lets friends and family members collaborate during the decision-making process and find the perfect vacation home together. With inviting, voting and commenting capabilities, fellow travelers can see each other's favorited properties, vote and leave comments on which vacation homes they like best. Discuss an itinerary ahead of time. With multiple personalities and interests involved, it can be challenging to keep everyone on a set schedule. Some may prefer to sleep in and others may have specific ideas about what time meals should be. Even if you don't have a formal itinerary, it's a good idea to talk through the schedule ahead of time, so expectations are clear. Breaking off into smaller groups part of the time may work better than keeping the entire group on the same schedule throughout the trip. Look for group discounts. Though a larger group poses some challenges, there are also some perks that make bigger better. As you're planning activities and making reservations, be sure to inquire about specials and rates reserved for larger parties. Use apps to get organized. From organizing everyone's travel schedules to voting on activities and coordinating payments, you can rely on apps to orchestrate most of the minutiae of a group getaway.